I wish I had some of my early teenaged drawings, the ones I voraciously did while copying book illustrations. When I was a teenager (cue the sad violin music), there was no internet. Or easily accessible quality photo imagery, for that matter - film cameras were expensive, and photos were sealed under plastic in albums. There were no museums or art galleries in my town. Art was only available in books, and those came from the library. When I was deemed old enough, I could stay after school and walk to our local library, where I would hang out in the stacks for hours. Books were read, yes, but I would also study the artwork and draw from them. 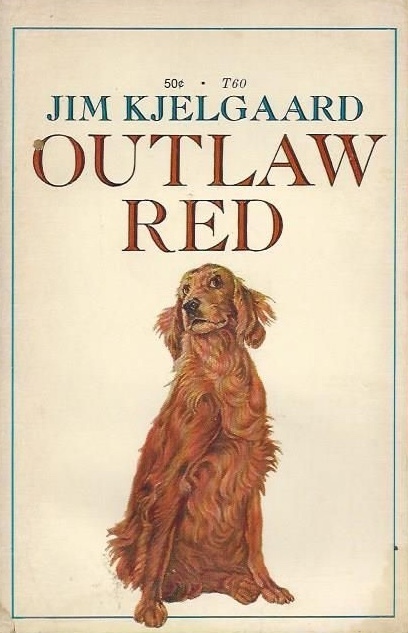 Jim Kjergaard's books were some of my favorites - heartwarming stories with beautiful covers (I wish I knew who this artist is, but I don't have this particular copy anymore). I can't tell you how many times I drew Red, in pencil, pen and ink, watercolor, acrylics. It got to the point where I could do him from memory. I didn't know it at the time, but copying others' artwork is a fantastic learning tool, one that artists have used for centuries. All the critical decisions have already been made, and it's a matter of learning to wield our tools like they did, all the while refining our own drawing skills. The hours I spent freehand drawing copies were actually excellent training for when I started creating pet portraits decades later. To this day, one of my favorite ways to spend an afternoon is in the Detroit Institute of Art digitally sketching (with my iPad) in the galleries. I often ask my students to actively practice copying the work of their favorites too. Mixing the same colors, matching up brush marks, it helps you to get into the same mindset as the original creator. Studying that sort of decision making helps integrate that artists' thinking into your own work. I challenge today's readers to pick up a pencil and see what they can do with Red here. I might just do the same, for old time's sake.